Let me introduce you to Leah Hutchinson who is the proprietor of Country Funerals based in Westwell, Kent. 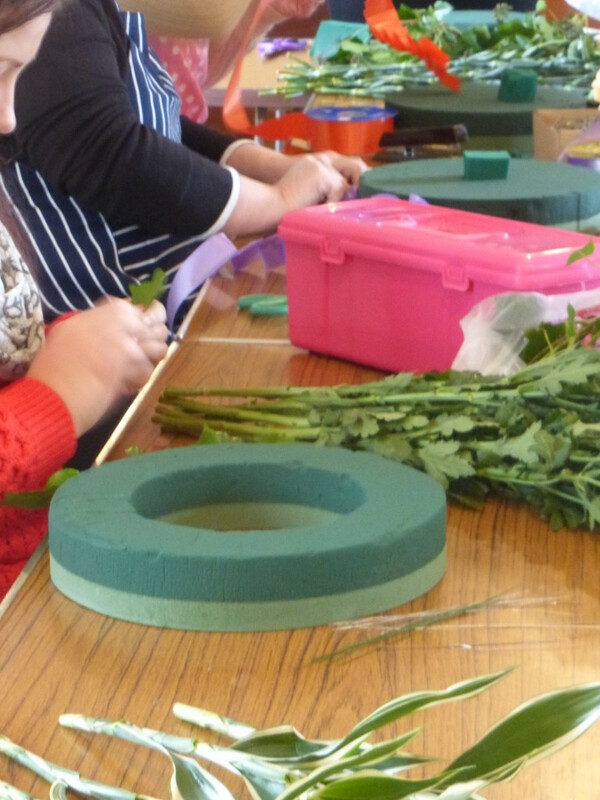 Leah recently came to a series of classes at the village hall in Westwell to learn about funeral flowers after hearing about the classes from a village friend. Leah keeps herself very busy. She has two children, Frances aged 24 who lives and works in events in London and Kurt aged 20 who is still with her at home. Her two Bassett hounds Norman and Pearl keep her on her toes and she spends most weekends supporting her husband Graham in his music. Any spare time is spent at auctions and second hand shops. Her favourite flower is the sweet pea. 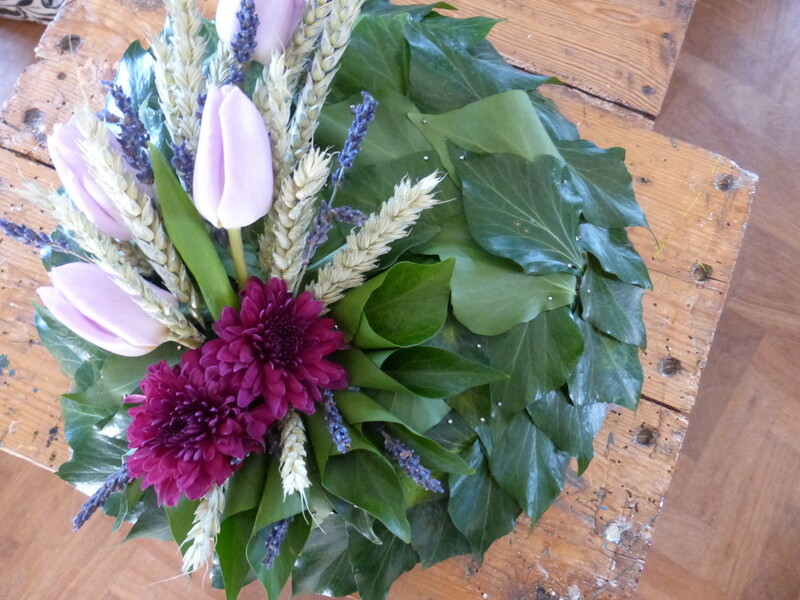 As a Funeral Director, Leah works with lots of funeral tributes and I wondered what made her decide to take a floristry class. Leah told me that she wanted to understand why some of the tributes that were delivered to her never made it to the hearse without losing flowers. So, she wanted to be able to do a quick fix with confidence in the event of a mishap occurring between the initial delivery of the tributes and the end of proceedings. 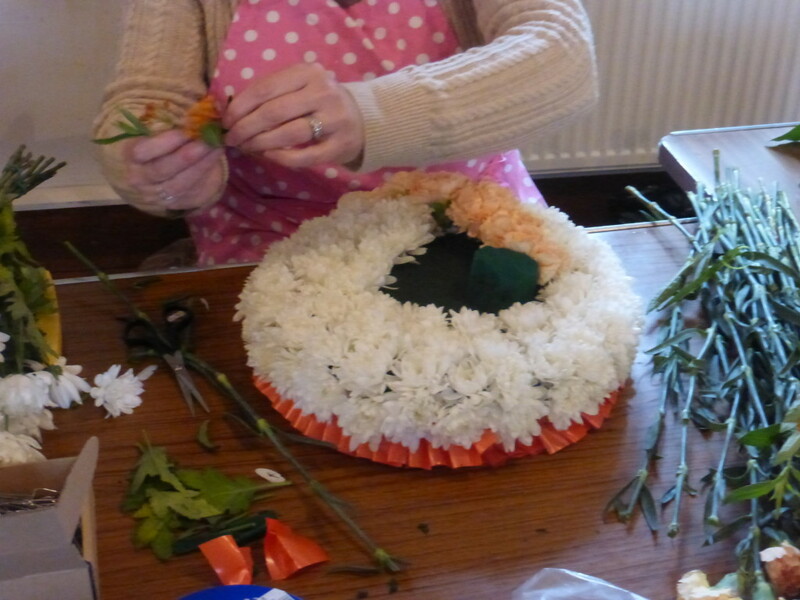 So far Leah hasn’t had to use any of her new-found skills for emergency first aid for the floral tributes she handles, but she says she has helped families by giving advice to them about ideas for funeral flowers. She is sure that over the years to come the tips she has picked up at flower school will come in very handy! Looking to the future Leah’s plans are to continue to be there for families when they need to say goodbye to a loved one. Hi Lisa – lovely to hear from you. 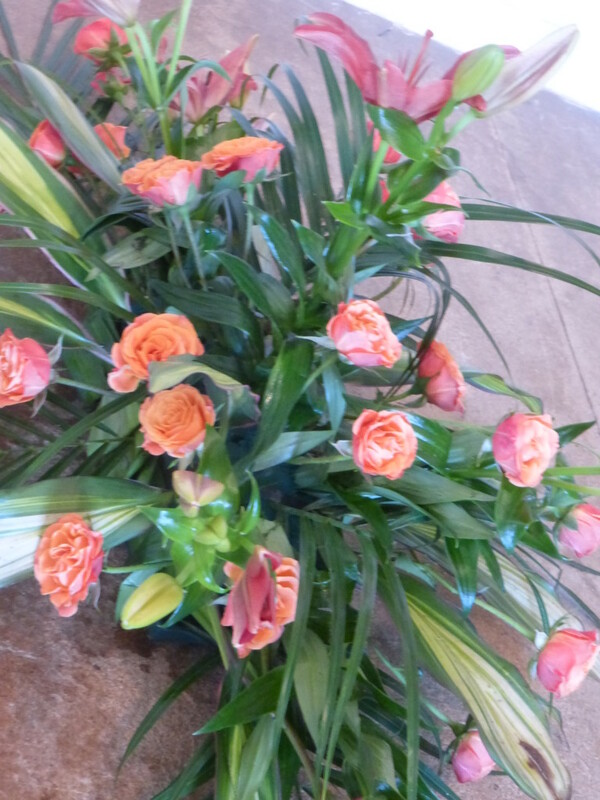 Your hand tied bouquet sounds fabulous: keep up the good work.